Chancellor's Blog: Welcome Back Students! Welcome to the UIS 2013 Spring Semester! Though it is a chilly 14 degrees today, the sun is shining brightly and we're looking forward to an interesting and exciting semester here on campus. It was my pleasure this past week to welcome over 40 new international students from around the world to our academic community and I hope you will join me in offering an especially warm welcome to them as well as to other students who are new arrivals at UIS this semester. 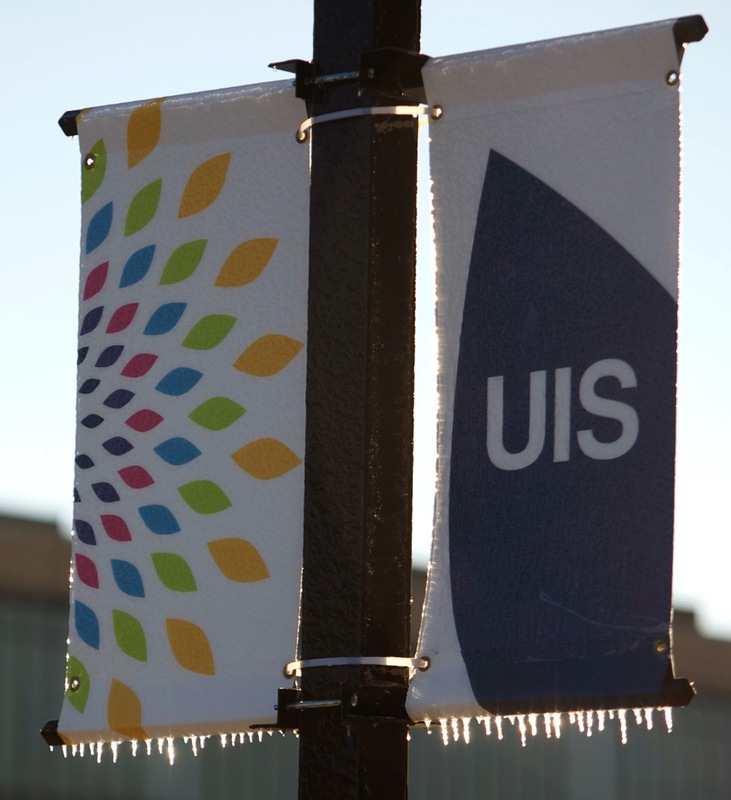 With over 1,100 course sections being launched this week, both on campus and online, UIS faculty are offering exceptional courses at both the undergraduate and graduate levels. I encourage you to invest your efforts deeply in this abundance of opportunities to collaborate, learn and prepare for your future. In addition to courses, the Spring, 2013 semester also offers countless other opportunities for leadership and engagement on campus and in the community. I've enrolled in the upcoming UIS MOOC (massive open online course) and I invite you to do so as well by visiting https://uis.coursesites.com/. The topic of the MOOC, which is a free, eight-week online course open to anyone worldwide who wants to join, is the Emancipation Proclamation, an appropriate topic during this sesquicentennial year of President Lincoln's issuance of that document. I encourage you to support and enjoy our men's and women's basketball teams during the next several weeks of GLVC Conference play. Both the women and men are next at home in the TRAC on January 24th and our student/athletes are providing many exciting moments on the court this season. We're also looking forward to Black History month activities in February, Women's History Month in March, and of course, Springfest, a highlight of the Spring semester at UIS. Finally, the next Chancellor-student gathering, cosponsored by SGA and other student organizations, is "Cheesecake with the Chancellor" and is scheduled for February 13 at 9:00 PM in the Lincoln Residence Hall Great Room. I look forward to seeing you there. Best wishes for a productive and enjoyable semester!